Choosing a bank can be hard for many people because of trust issues. Nowadays, banks sprout with incredible deals to attract their customers and build a strong customer base. However, most banks always find it hard to sustain the growing economy and financial crisis that come along the way. 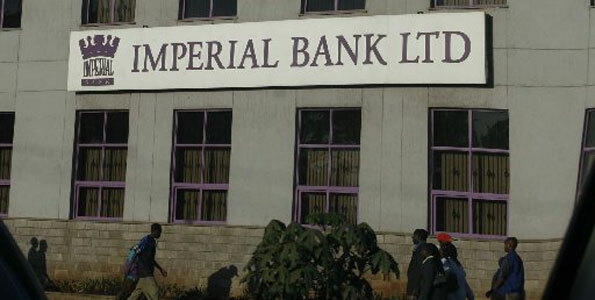 Now, Imperial Bank is under fire. The Central Bank of Kenya provided that the bank paid 6,600 claims out of about 10,000. Good news – Imperial bank customers to be paid before Christmas. Christmas is around the corner and the customers have not been paid. Patrick Njoroge, CBK governor would like the bank to clear all claims before Christmas Day in order to relieve the customers of the suffering they went through since November. “We are comfortable that we will be able to process all the claims before Christmas. Some 10,600 claims have been cleared and validated while 6,600 claims have been paid,” said Dr Njoroge. However, about 34,000 customers have not lodged their claims to date and 500 of the 10,600 claims so far made were found to have been duplicated. Dr Njoroge said that the anomaly whose motive was yet to be ascertained. Currently, a depositor settlement plan that gives customers access to a maximum of Sh1 million of their money is underway. In addition, the limit covers 89 per cent of the bank’s customers, provided by The Kenya Deposit Insurance Corporation (KDIC). Unfortunately, Imperial Bank customers who had more than Sh1 million in their accounts, and are estimated at 5,700, are however to wait longer to access their money. According to insurance law, customers with huge deposits are at risk of losing a large amount of their savings in the event of a bank collapse since the law covers up to Sh100,000. Technically, the bank had Sh88 billion in deposits at the time of collapse, but its managers did not disclose about Sh20 billion in the company’s financial statements. To deal with the problem, experts have been hired to work closely with the staff and solve the issue. “We see next year as the year of transition when we shall more aggressively supervise banks. We are working with an expert on improving supervision,” said Dr Njoroge. The Central Bank of Kenya had placed their wish on the fact that Imperial Bank shareholders would try and raise some cash to the bank. However, the shareholders ran to the bush.